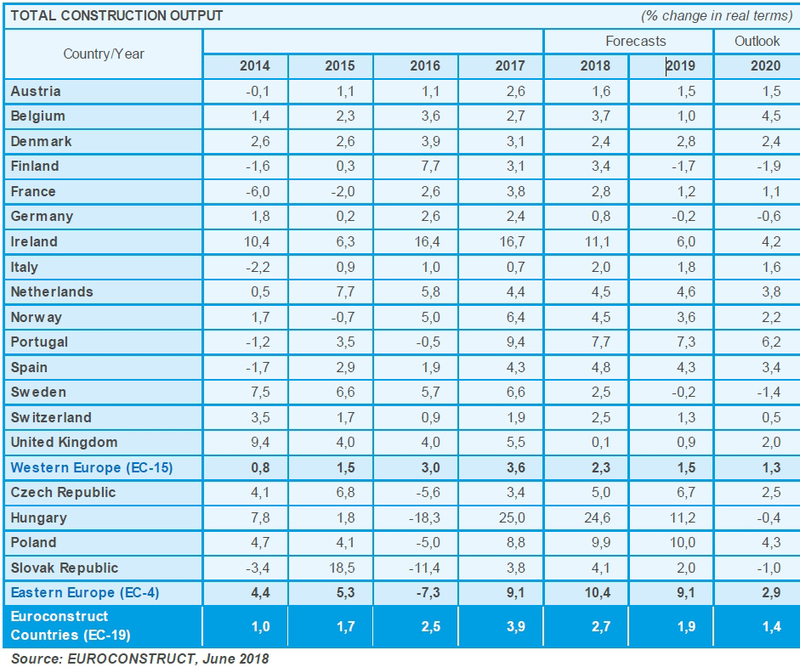 According to the Euroconstruct forecast in June 2018, European construction will grow by 2.7 % this year – the pace slowing down clearly from last year (+3.9 %). The rise from the 2013 low has, however, been slow and the volume of construction in the Euroconstruct area will still be 14 % lower than in 2007. 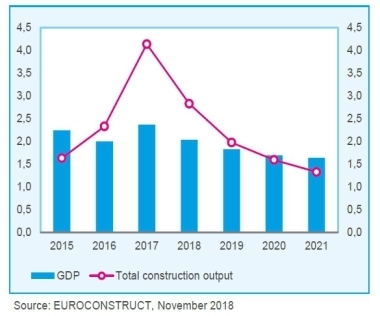 Growth will continue in 2019 and 2020, but at a slower rate, and construction will no longer be the European engine of growth. 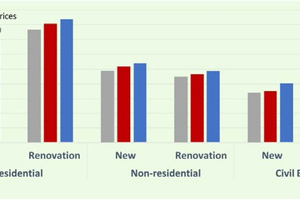 European construction growth is broad-based and covers all main sectors: residential, non-residential and civil engineering, both new construction and renovation. The role of new housing construction as the engine of growth will diminish, and the focus of growth will shift to civil engineering. In 2018 and the next two years construction growth will be fastest in Hungary, Poland, Ireland and Portugal: nearly 12 % p.a. in Hungary and 7 to 8 % p.a. in the other countries. Growth will stop in the next few years in Finland, Germany and Sweden. In the eastern European (CEE-4) countries, growth is rapid. 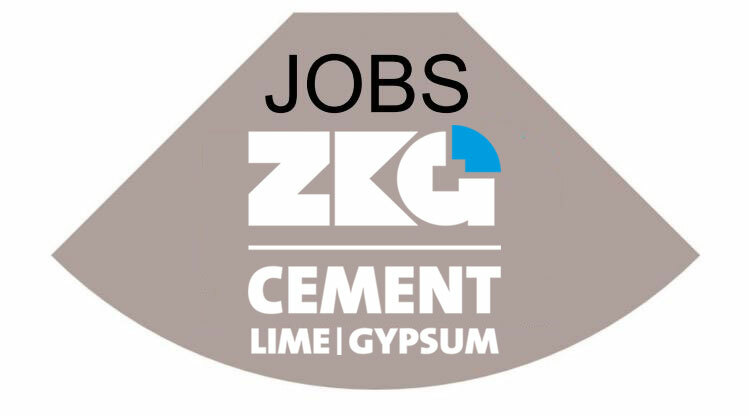 The expected average growth is 7.5 % p.a. while that of the western European (EC-15) countries is 1.7 % p.a. Nordic construction has grown briskly in recent years. In 2016 and 2017 it was about 5 % while the European figures stood at 2.5 and 3.9 %. 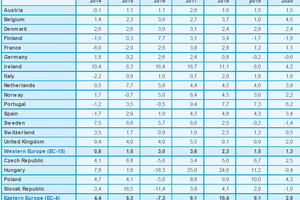 This year Nordic construction growth will slow to just over 3 %, and in 2020 it will be only 0.5 %. Sweden and Finland are responsible for the Nordic slowdown. In 2019 and 2020 the average growth will be somewhat negative in Finland and in Sweden, but remains positive in Norway and in Denmark.